Why do we light lamps in temples? We ring bells in temples. We light lamps in temples. We follow the rituals religiously. But only if we are keen to know their purpose and understand their significance that these mere rituals can add an altogether different meaning to our lives. And thus change our experience as well. 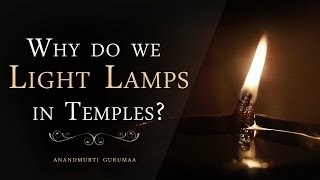 This video features enlightening explanation of why do we light lamps in temples by revered master Anandmurti Gurumaa. Watch it not just for gaining knowledge but to explore the insightful perspective shared by the master. For this mistakenly believed ritual has the potency to unleash your potential. Subscribe to YouTube Channel/GurumaaAshram to stay updated about new videos. Connect with the Master on Facebook/AnandmurtiGurumaa and on Twitter@GurumaaAshram. 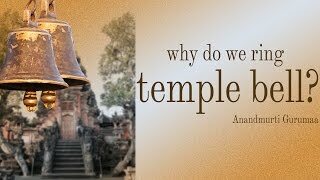 Why do we ring temple bell? What is Pilgrimage? 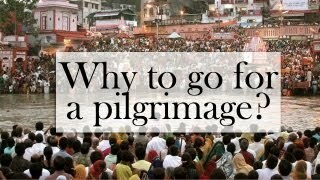 | Why to go on Pilgrimage?